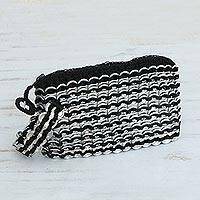 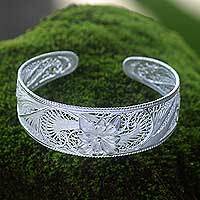 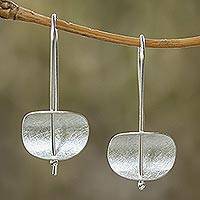 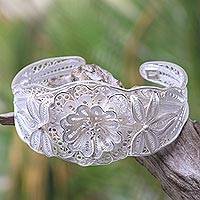 Artisan Crafted Silver Filigree Balinese Floral Bracelet, "Divine Floral Filigree"
Woven into a sumptuous garland, luscious petals grace a beautifully feminine bracelet. 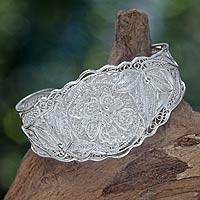 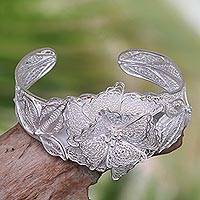 Yuli presents an exquisite cuff in sterling silver filigree, inspired by Bali's vast and varied flora. 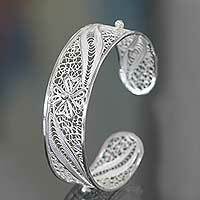 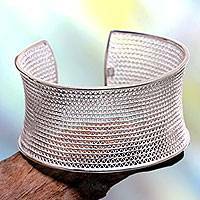 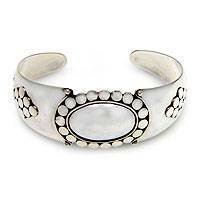 Sterling Silver Filigree Openwork Link Shield Bracelet, "Tameng"